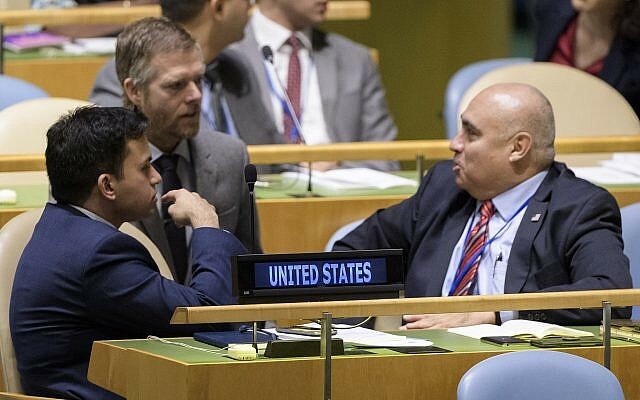 UNITED NATIONS — In a slap to the United States, the UN General Assembly overwhelmingly approved a resolution Thursday condemning the American economic embargo of Cuba and rejected proposed US amendments strongly criticizing the lack of human rights in the island country. The General Assembly’s vote on the Cuban-sponsored resolution on the “Necessity of ending the economic, commercial and financial embargo imposed by the United States of America against Cuba” was 189-2 with no abstentions. The US and Israel voted “no” and Moldova and Ukraine did not vote. In earlier separate votes on the proposed US amendments, Ukraine and Israel were the only countries to join the US in voting “yes” on all eight measures while the Marshall Islands backed one amendment. Some 114 countries voted against the amendments and about 65 abstained. 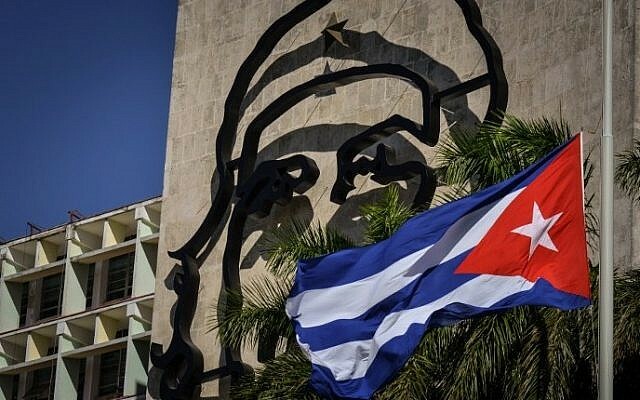 The proposed amendments expressed serious concern at the lack of freedom of expression and access to information in Cuba and the prohibition on workers’ right to strike. 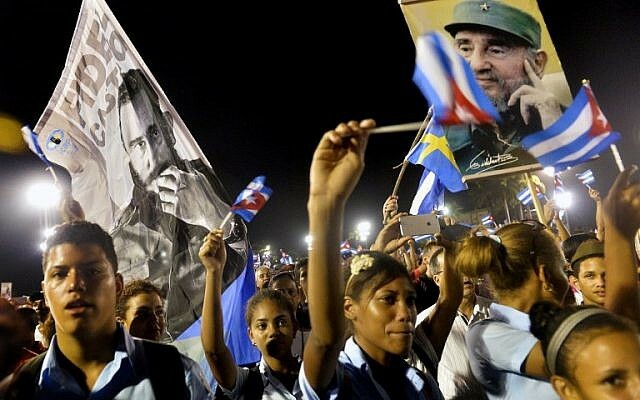 They called on Cuba to fully grant its citizens “internationally recognized civil, political and economic rights and freedoms,” to establish an independent civil society and to release people detained for exercising their human rights. 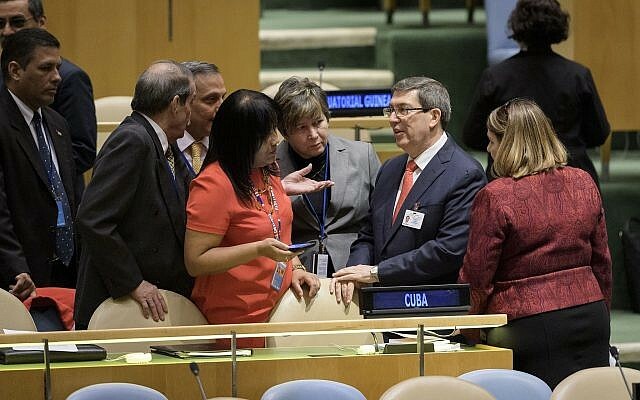 Cuba’s Foreign Minister Bruno Rodriguez called the US embargo “a flagrant, massive and systematic violation of the human rights of Cuban men and women” and denounced what he called the politicized US amendments. Rodriguez accused the US government of committing “crimes against humanity,” pointing to its dropping of the atom bomb in Japan in World War II, waging wars that “caused the death of millions, many of them innocent,” and carrying out what he claimed were “extrajudicial executions, kidnapping and torture.” He also accused the US of violating the human rights of its citizens, singling out Afro-Americans, Hispanics, minorities, refugees and migrants. She urged the General Assembly to use its “megaphone” and “send a moral message to the Cuban dictatorship” that could help improve the lives of the Cuban people. But the United States failed to get support even from Western nations. The European Union said the US amendments did not belong in a resolution dealing with a trade embargo, and its members supported the resolution calling for the United States “to repeal or invalidate” the embargo. Canada also spoke out against the amendments. The decision by the administration of US President Donald Trump to call for a vote on each of the eight amendments represents an escalation of its action last year and reflects worsening US-Cuban relations. Cuban President Raul Castro and then-President Barack Obama officially restored relations in July 2016. But Ambassador Haley and others have sharply criticized Cuba’s human rights record. In 2017, the US returned to voting against the resolution condemning the American economic embargo after the Obama administration abstained in 2016, a first for the United States in 25 years. Israel has for years followed the US’s lead on the annual resolution. 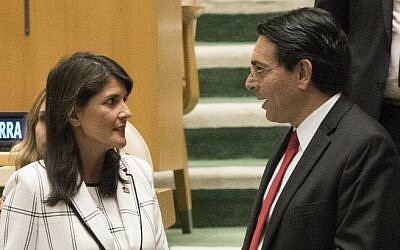 In 2017, the 193-member General Assembly adopted the Cuban-sponsored resolution by a vote of 191-2, with Israel joining the US in voting “no.” That was the same vote as in 2015. 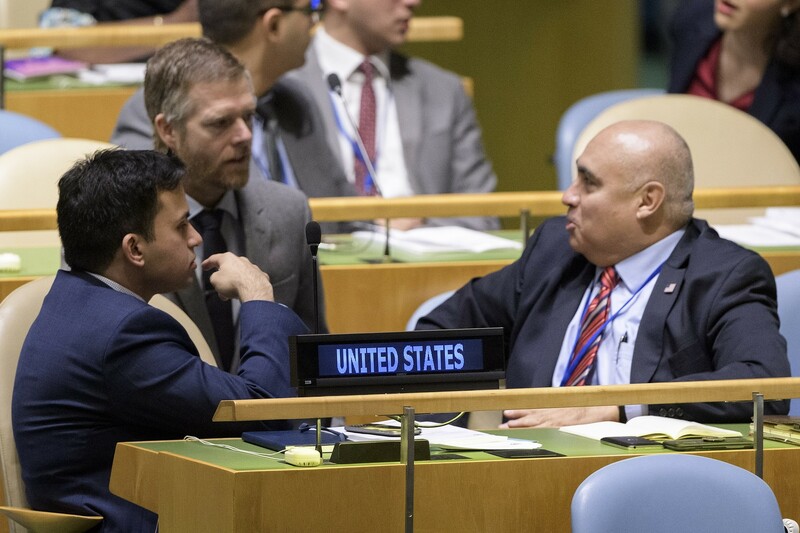 On Wednesday, diplomats voiced their support for the Cuban resolution.